Naranjarte (OrangeArt) combine the magic and intrigue of Puppetry and Circus with the passion of Spain, delighting audiences across the globe on their world tour. 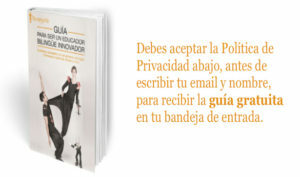 Naranjarte is a Nomad Spanish company with Ana Lorite and Sergio Aguilar, that mix the arts of puppetry and circus. Born in 2011 from the merger of two artists with experience in theatre and circus, Naranjarte uses puppets and marionettes that the artists themselves have designed and built. 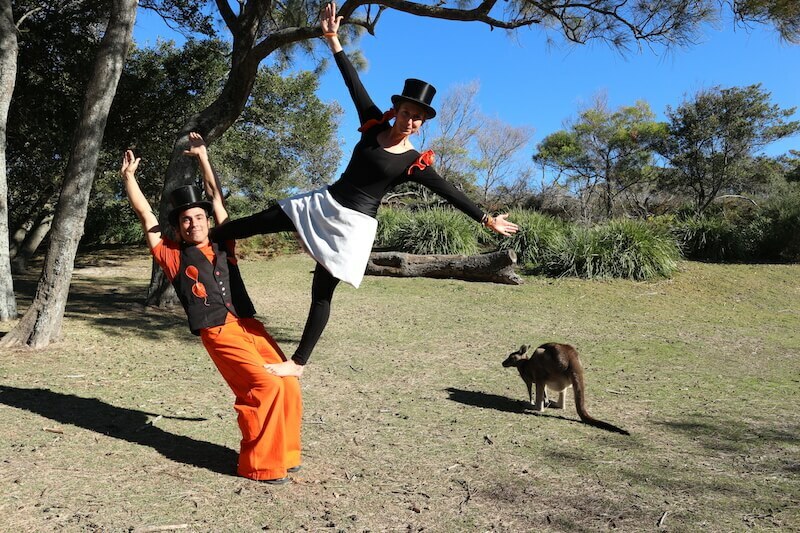 Having received an honourable mention for her final degree project with the investigation “Puppetry in English Language Teaching”, Ana seeks to broaden her knowledge by combining her expertise in Puppetry with her husband Sergio in Circus. Naranjarte started a new project in September 2017. From Spain to Malawi in Africa, passing through Europe, Asia, Australia and South America, Naranjarte is expanding its research worldwide and visit numerous schools in different countries in order to prove the benefits in using Puppetry and Circus in Language Teaching. 1– Observation: Naranjarte will attend regular daily classes as observers. 2- Practice: Naranjarte will work on a particular language subject with the students by using the 4 main types of puppetry and circus to develop the 4 skills of a language (Listening, Speaking, Reading and Writing) or to work on different aspects of communication through visual stimuli and using puppets and circus in the lesson. 3- At the end of the observation and practice phases, by way of exchange and to thank the school, Naranjarte will offer one show for all the school, suitable for all audiences. Analysis of the outcomes: through interviews with the teachers and questionnaires for the students, Naranjarte will analyse the practice from the 2nd phase, in order to gather enough data to contribute to a wider sample for this global research. We normally give the questionnaires to the children after phase 2 and doing the lesson with them. We also interview the language teachers during the last day. Naranjarte has participated in several festivals including the Edinburgh Fringe Festival (Scotland, 2011), Illawarra Folk Festival (Australia, 2018), Fringe Festival Dunedin (New Zealand 2018), Skipton Puppet Festival (England 2013 / 2015), Titirimundi International Puppet Festival (Segovia-2011/2012/2014/2016), the Redondela International Puppet Festival (Galicia-2012/2013/2016) , Estampes Festival des Marionnettes (France – 2016 / 2017), as well as in theatre halls and cultural centers. Naranjarte has developed teacher training programs (FUHEM Montserrat School 2015, UNIMA Summer School 2016, and Ciudad Real “Jornadas Pedagógicas” 2016) and conferences (Trash Puppets 2018 – Australia, Wellington Victoria University 2018 – New Zealand, Yogyakarta Bersatu Papermoon Puppet Theatre Program 2017 – Indonesia, Segovia UVA 2016 – Spain, Madrid Congress “Aprendemos jugando” 2016 – Spain). Naranjarte has collaborated with various musical bands in Sala Clamores, Sala Caracol, Cafe Berlin, Sala Sirocco, Sala Galileo, Reggaeboa and Rototom Sunsplash. 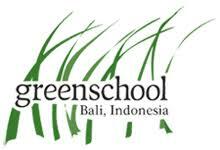 Brett Hendricks – Music and permaculture teacher at Green School Bali, Indonesia. Caroline Astell-Burt – Director of London School of Puppetry and at that time member of the Skipton Puppet Festival Committee, U.K.
Kerryn Palmer – Teacher at the School of English, Film, Theatre and Media Studies, Victoria University of Wellington, Nueva Zelanda.